XTB electrical gearbox for small greenhoue screening is used to open/close a small greenhouse screening system. XTB electrical gearbox for small greenhoue screening involves a 5 meter long chain and a winder. Its output shaft will be connected with a 1" or 5/4" steel pipe to drive a small greenhouse screening system. 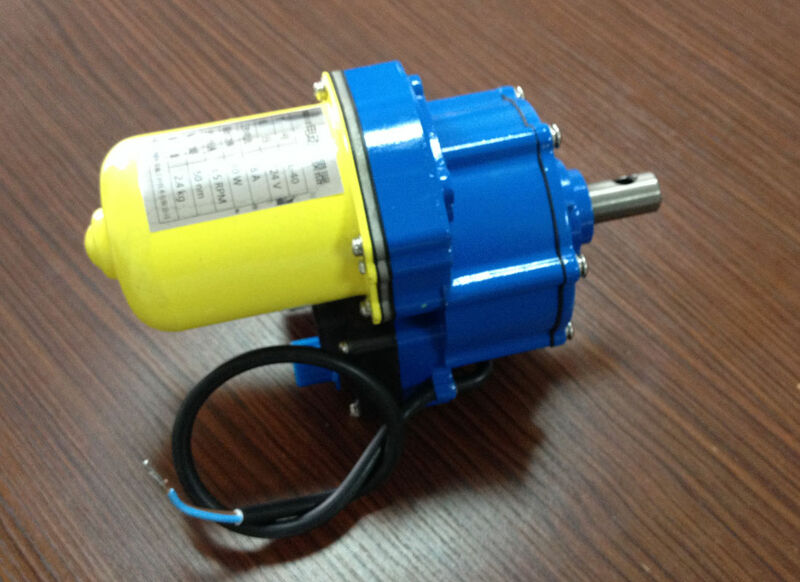 The electrical gearbox for small greenhoue screening can be easily turned, and has long life time. Its maintenance is very easy. While running, it makes no noise. Outside diameter of driving shaft 1" or 5/4"
Screening size About 100 m2. Depending on installation quality.